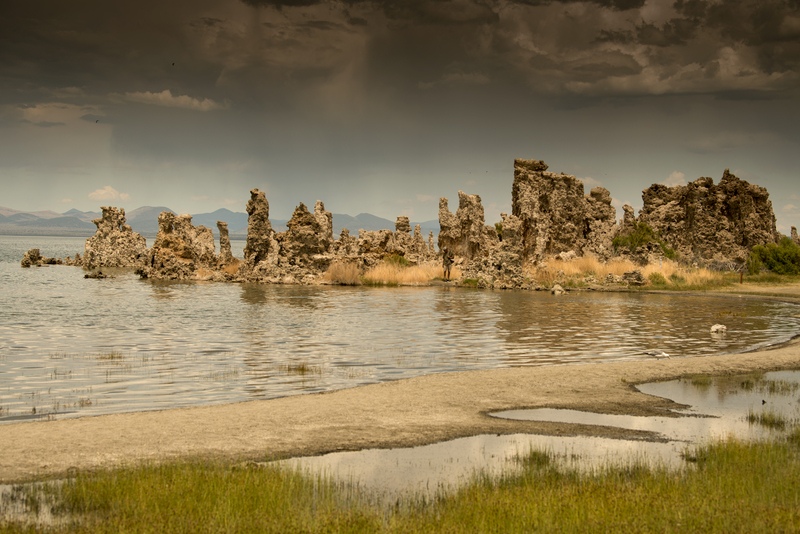 Mono Lake is a large, shallow lake in Mono County in California outside the eastern boundaries of Yosemite National Park. 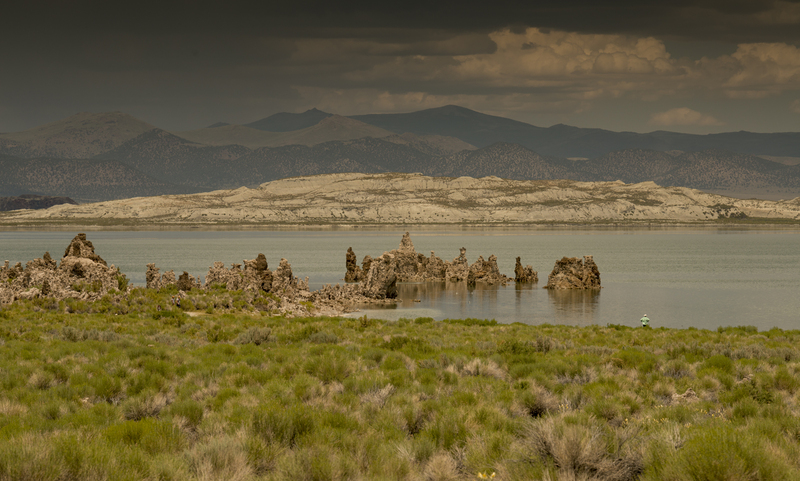 This is a desert lake but sustains a very productive ecosystem including nesting habitat for around two million annual migratory birds. 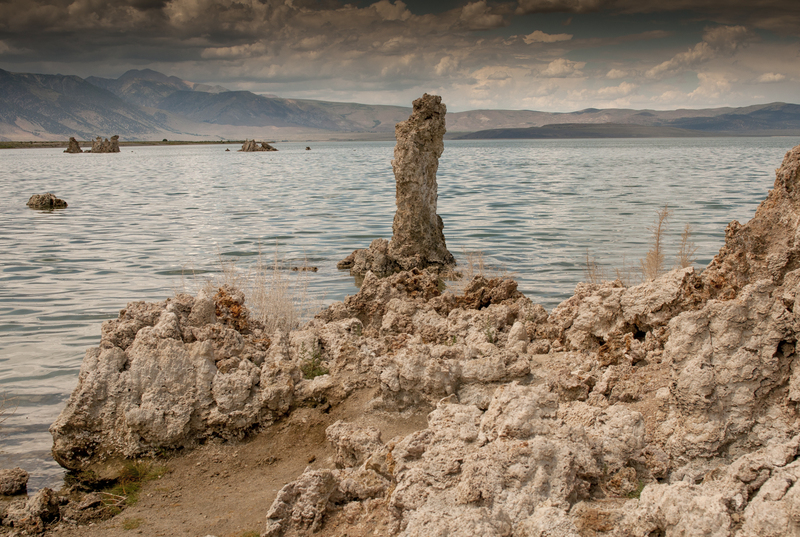 Formed around 760,000 years ago this is one of the oldest lakes in the western hemisphere. 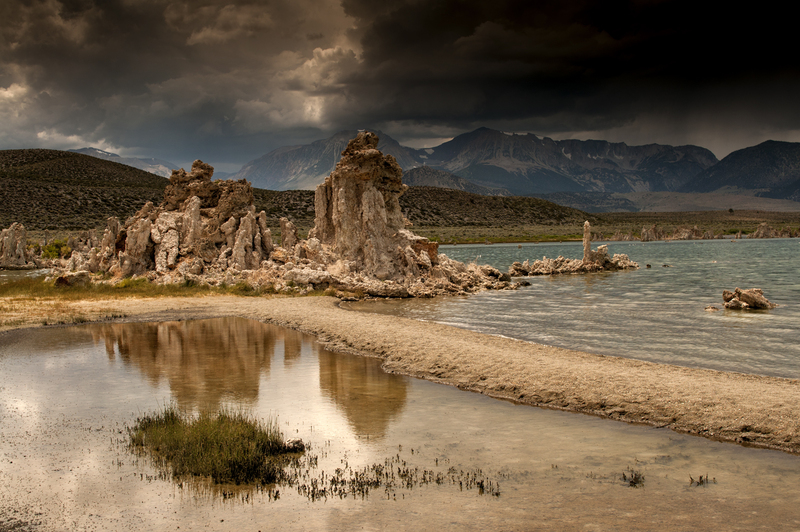 Water of this lake is alkaline because of the salts that accumulate due to no natural outlet. 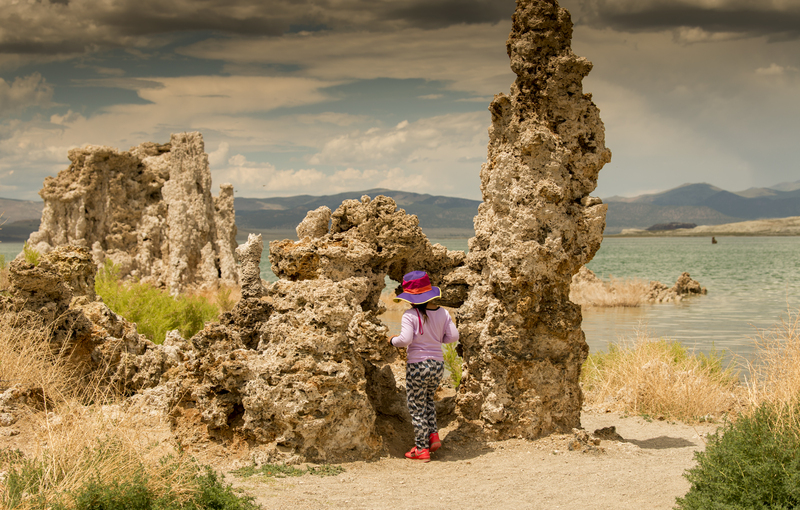 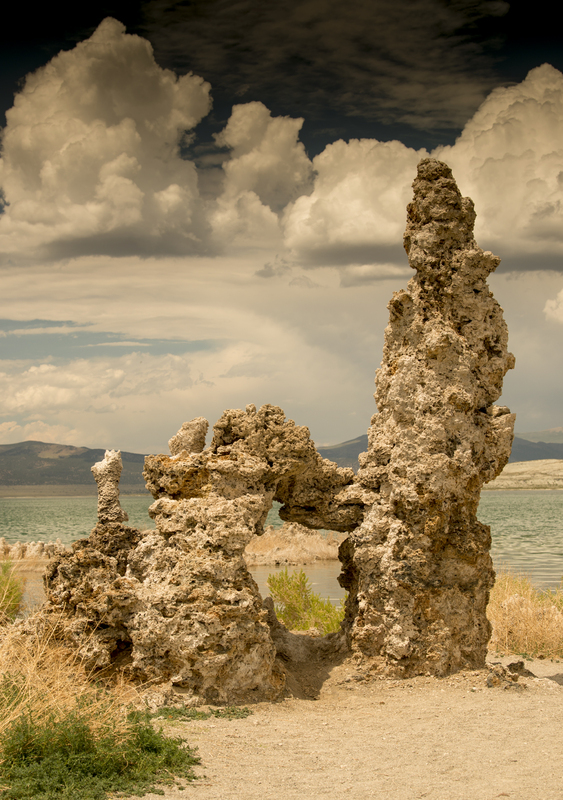 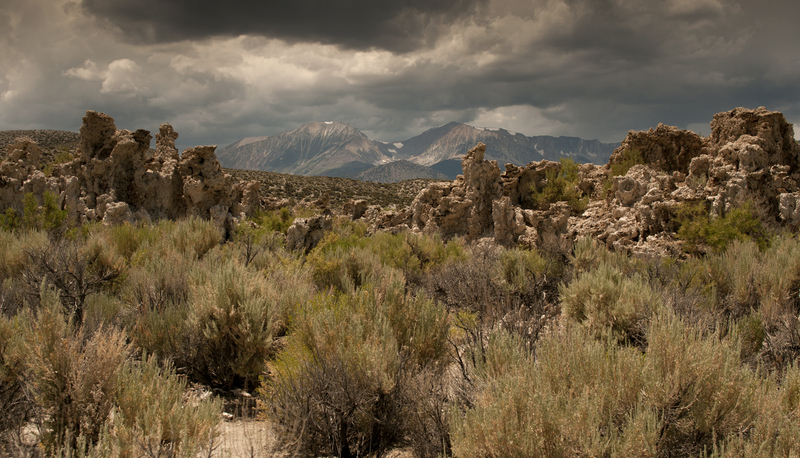 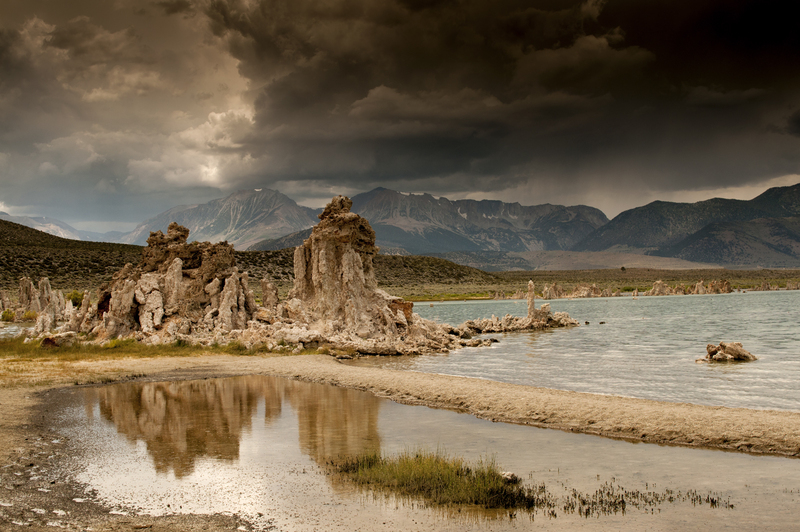 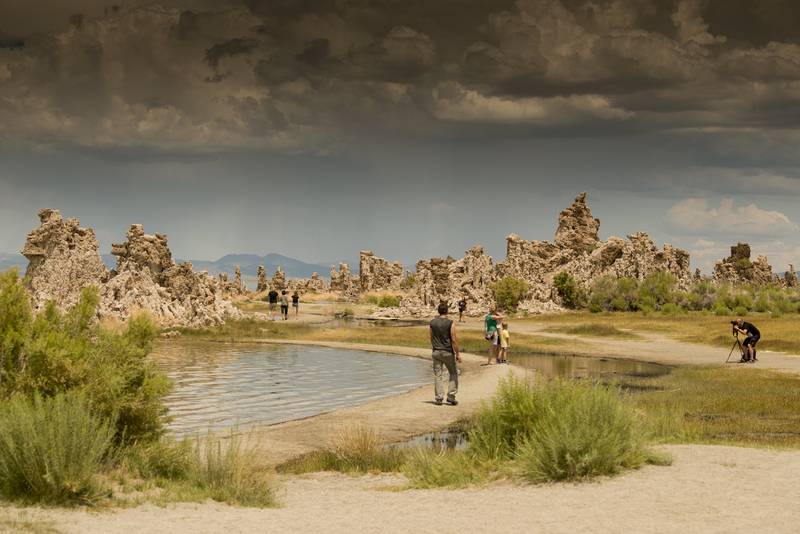 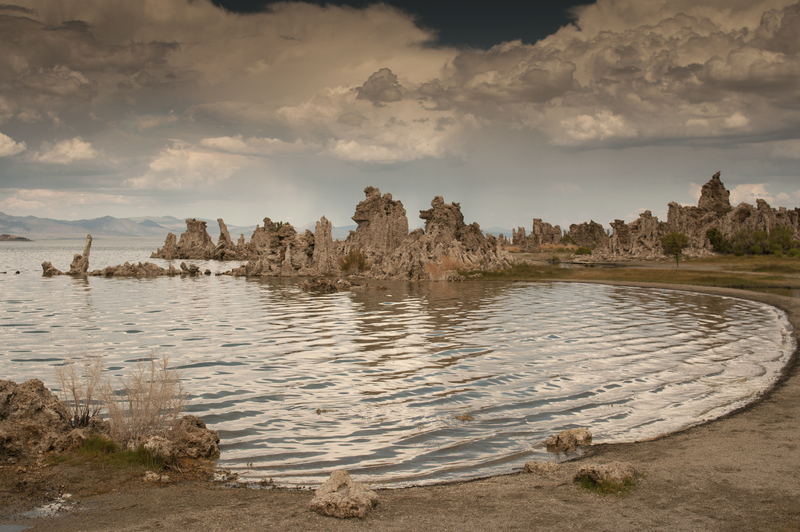 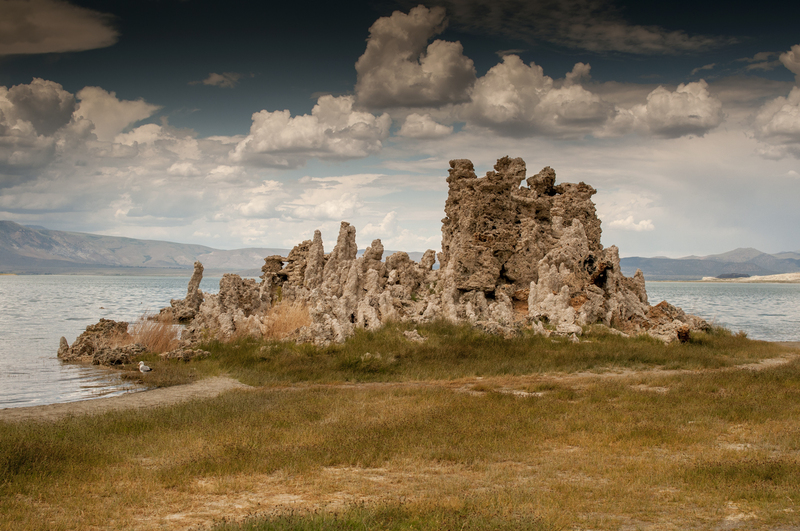 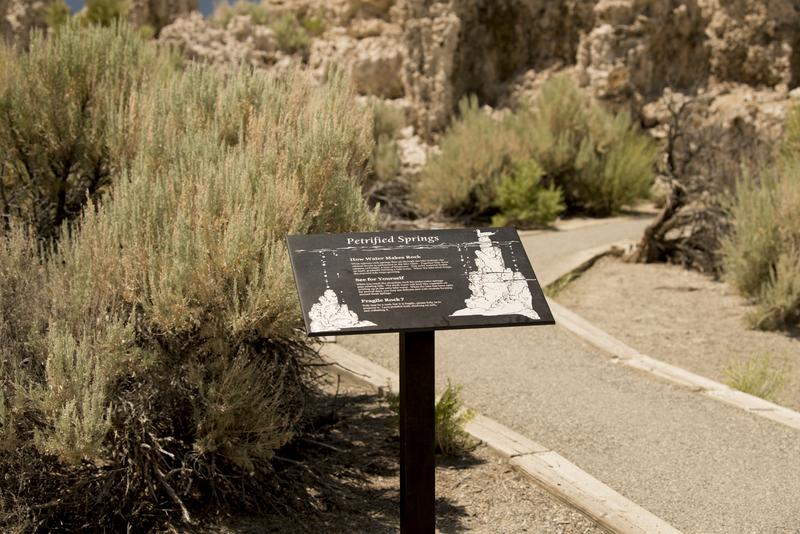 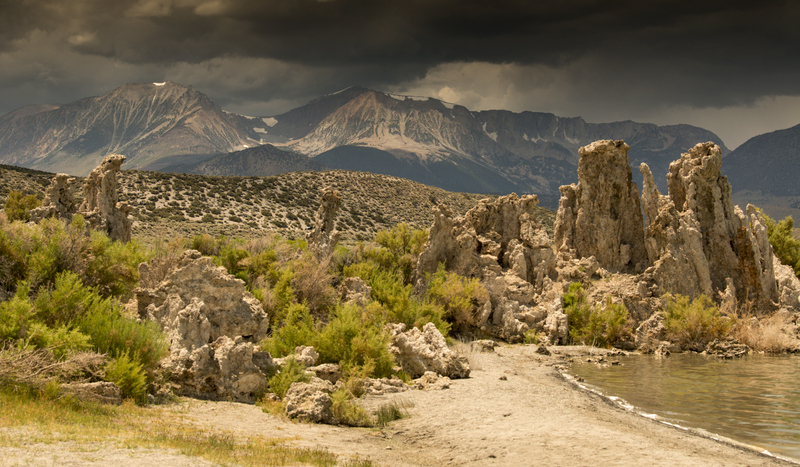 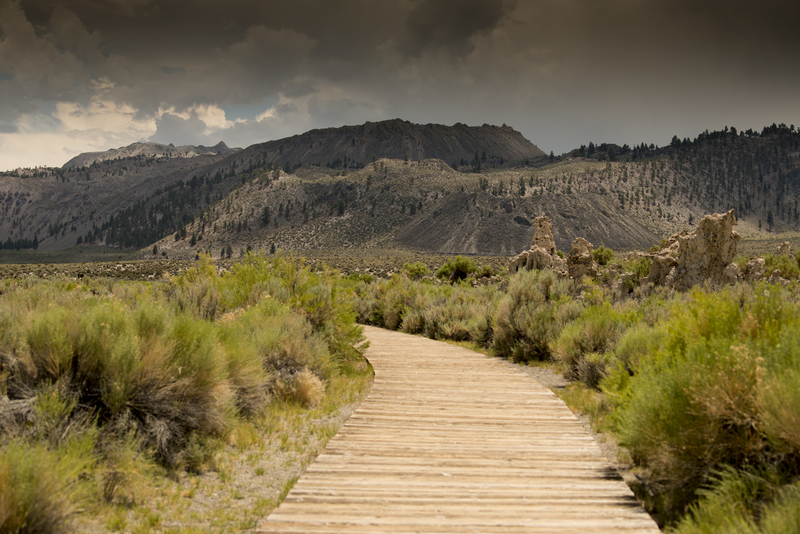 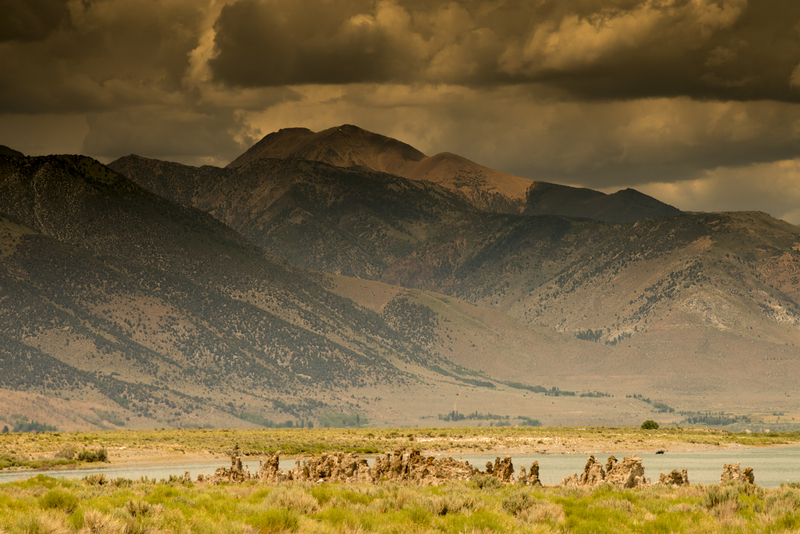 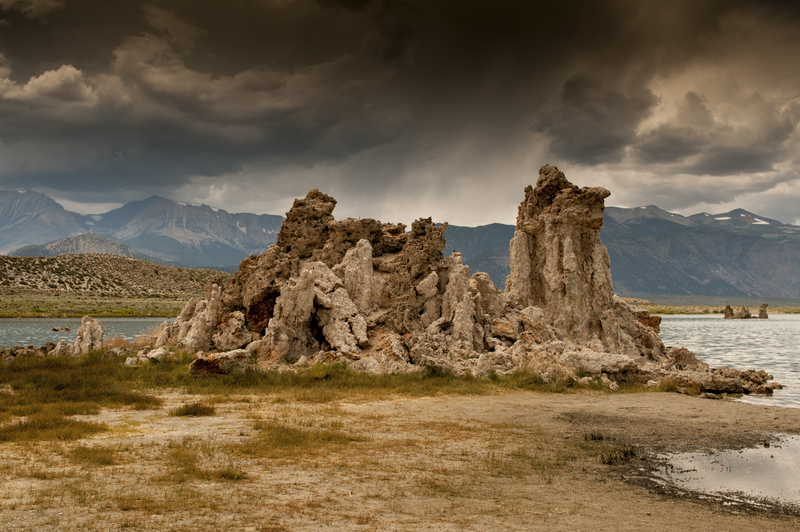 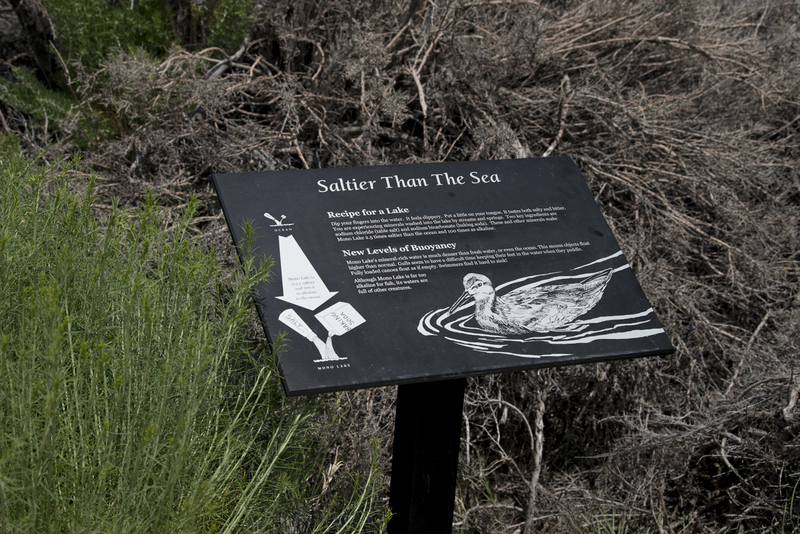 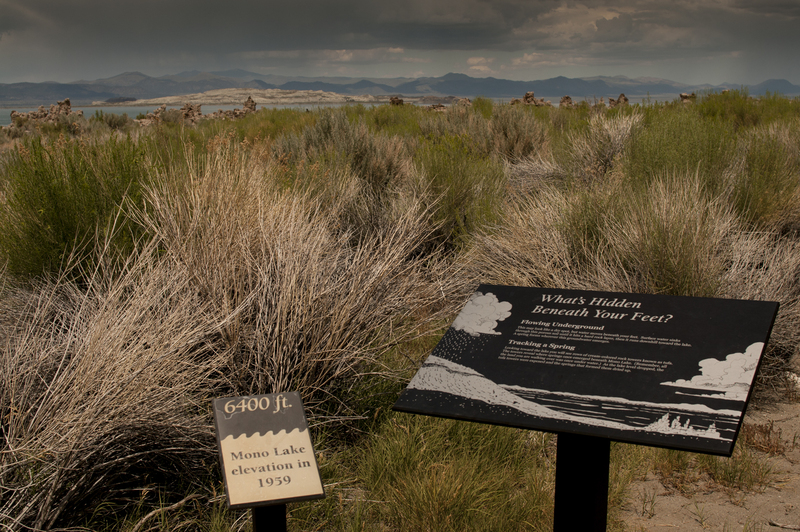 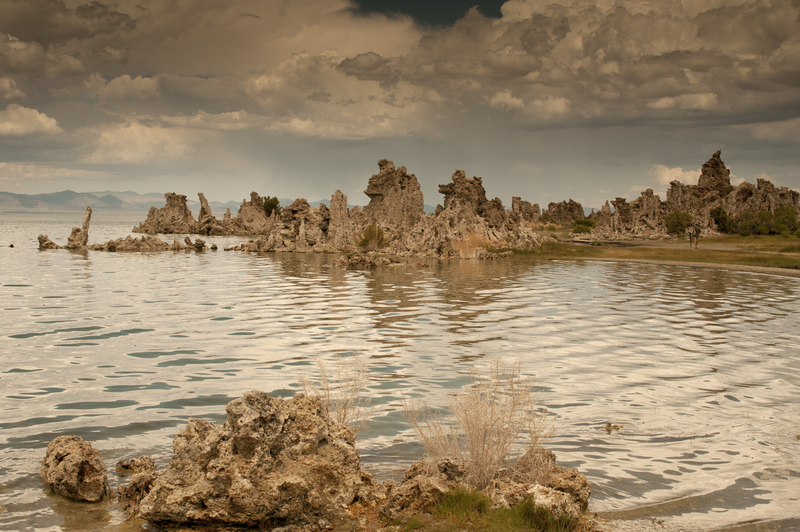 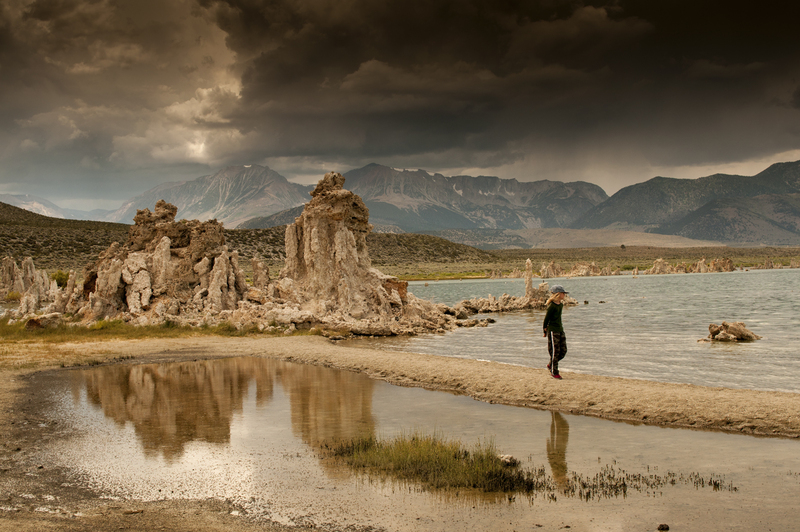 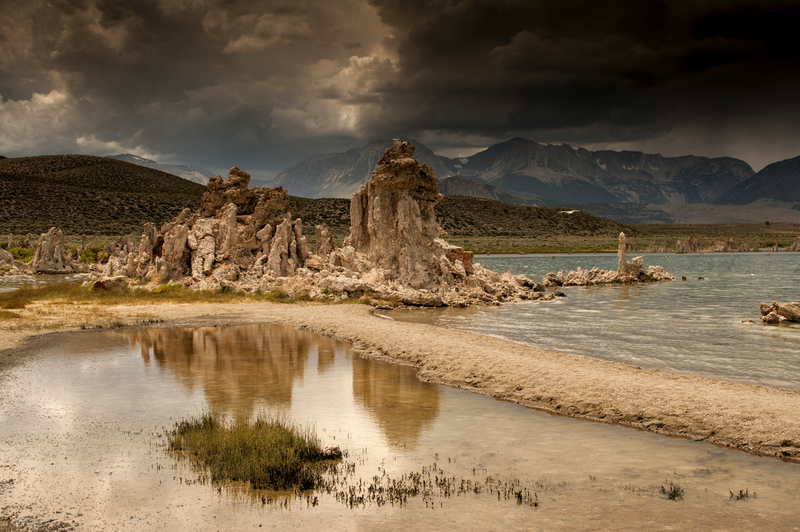 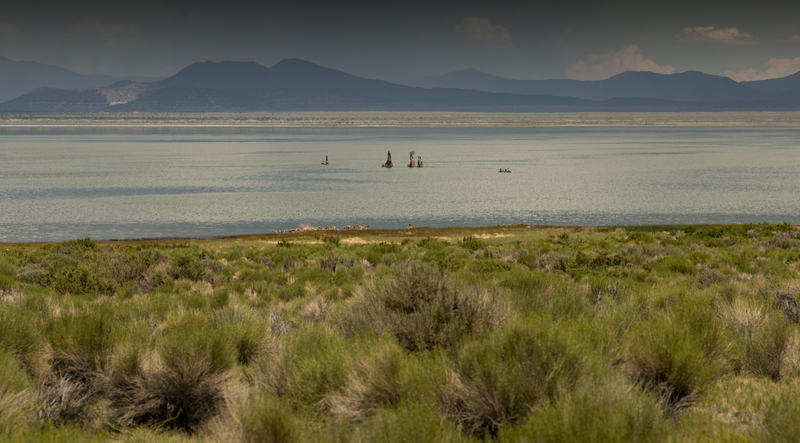 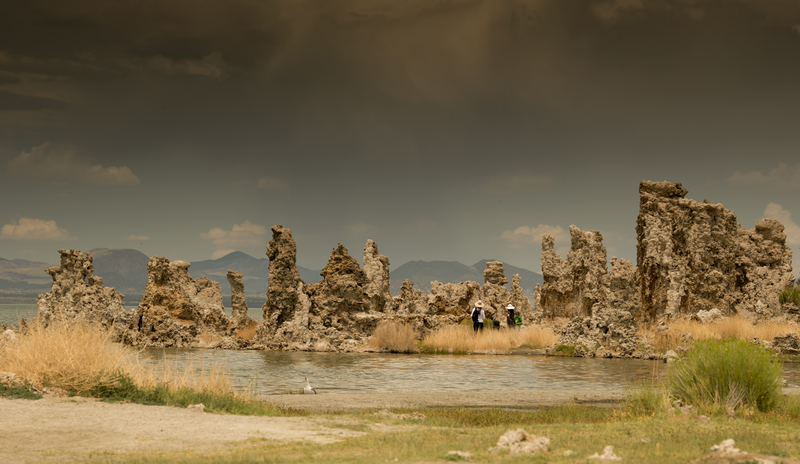 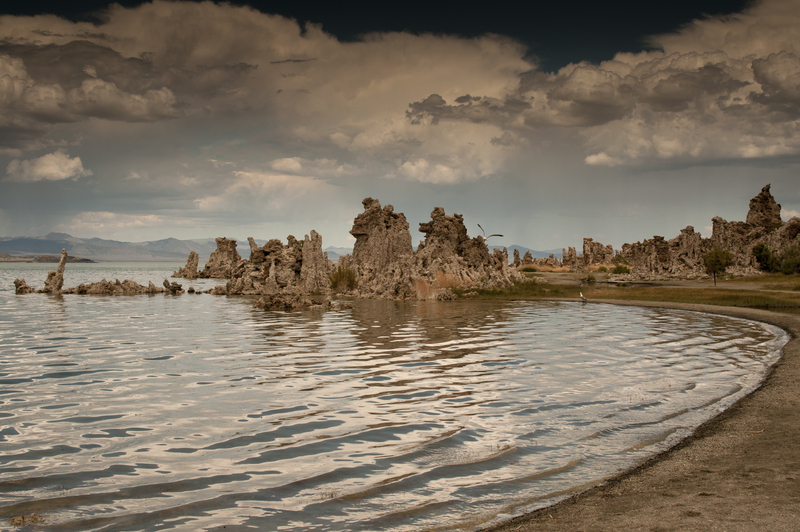 Among the most iconic features of Mono Lake are the Tufa Towers. 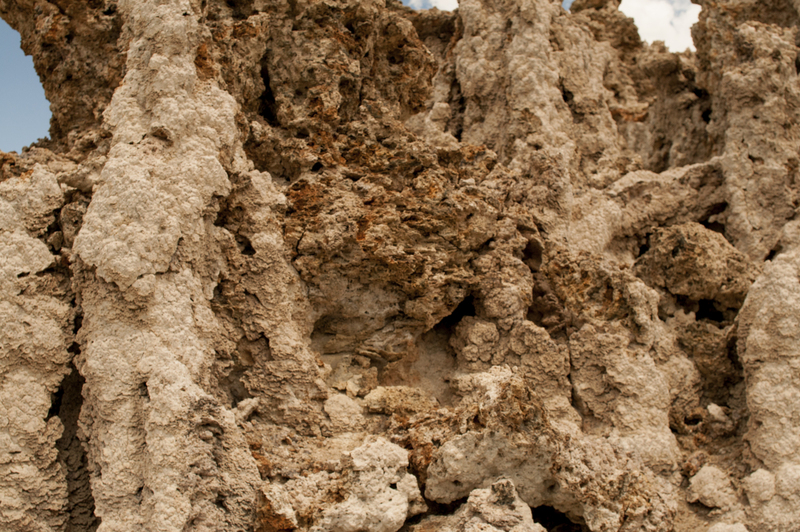 Tufa is a term used for limestone that forms in low to moderate temperatures. 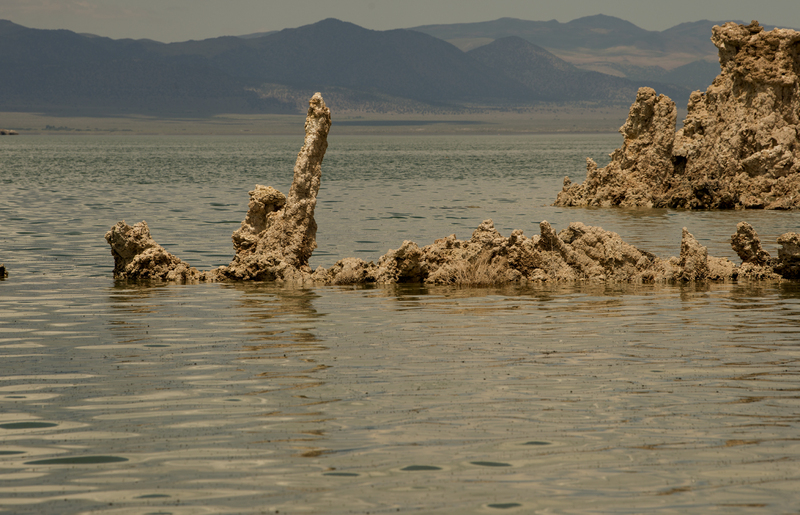 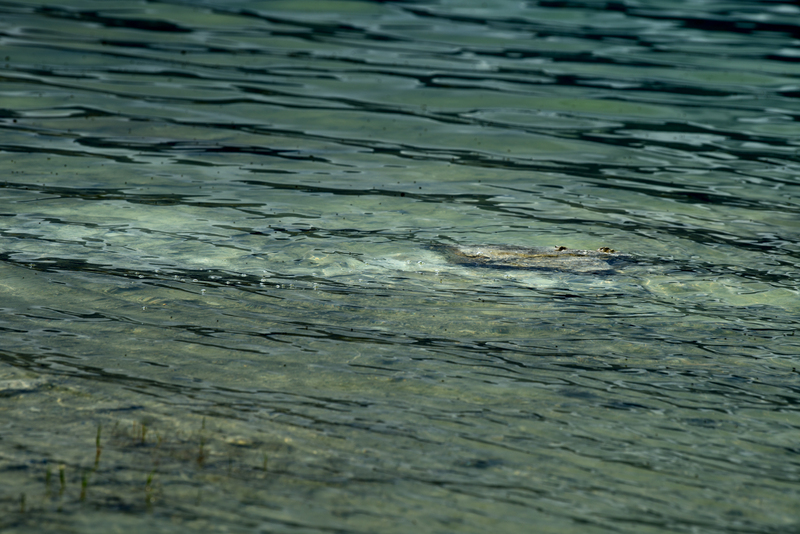 These are created when fresh water springs bubble up through the alkaline waters of the lake. 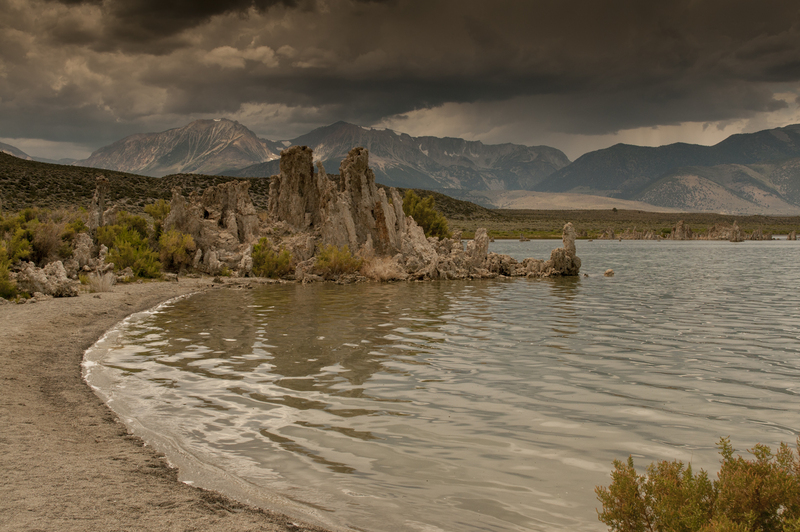 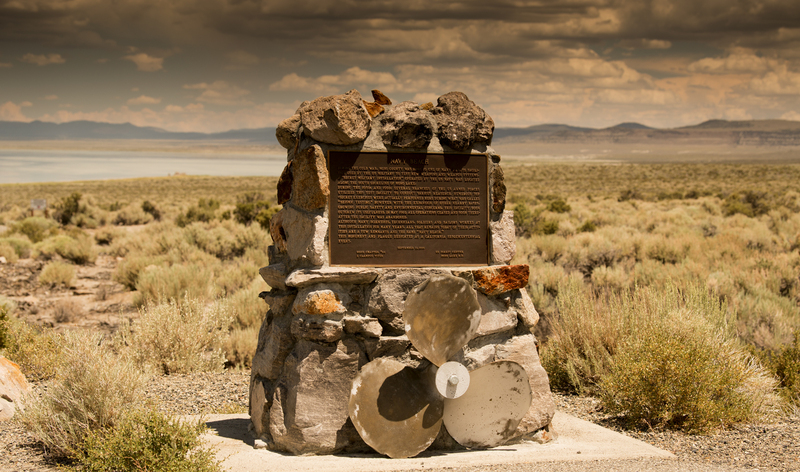 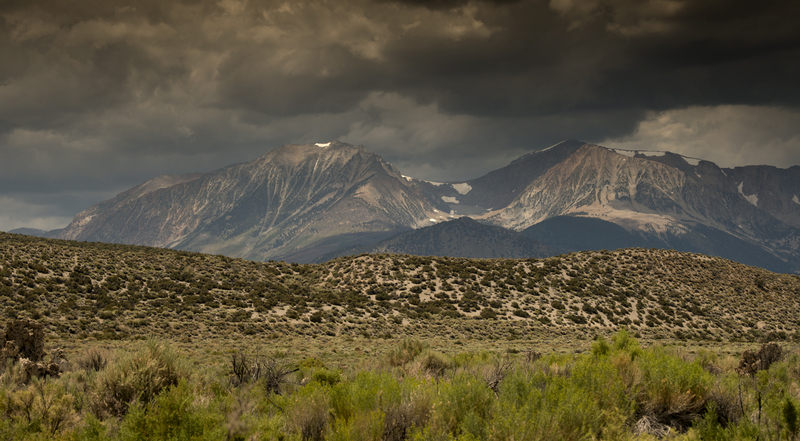 Directions/Location: Highway 395, 13 miles east of Yosemite National Park, near the town of Lee Vining, California. 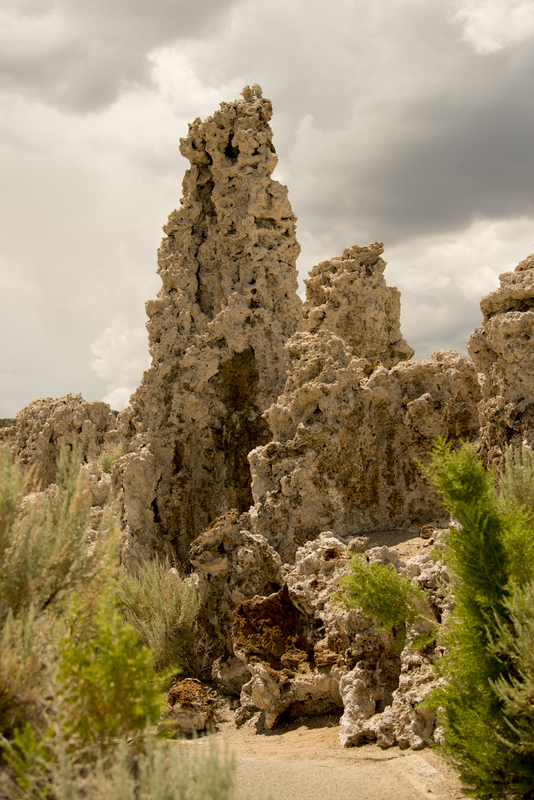 Tufa Towers - Columns of limestone consist primarily of calcium carbonate minerals, towering over the water surface. 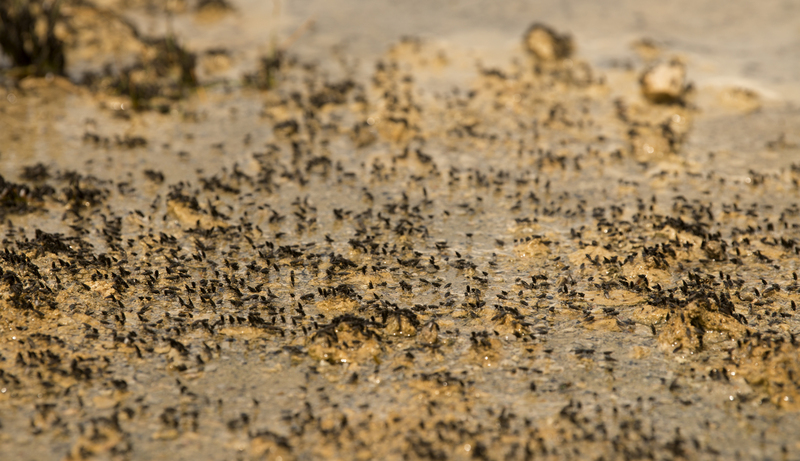 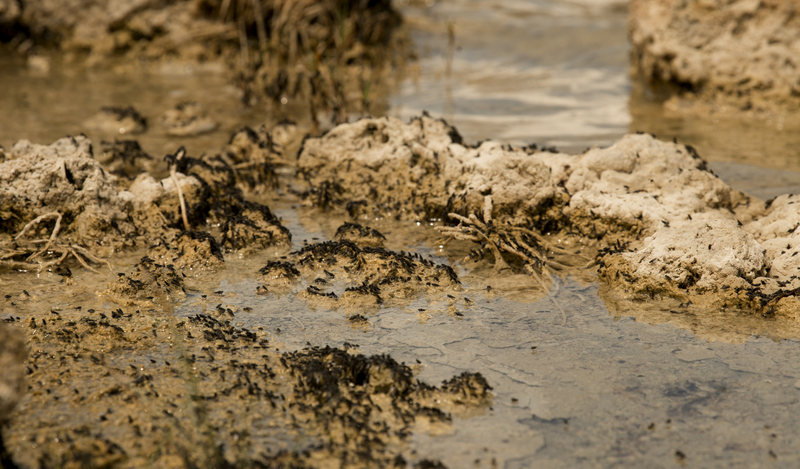 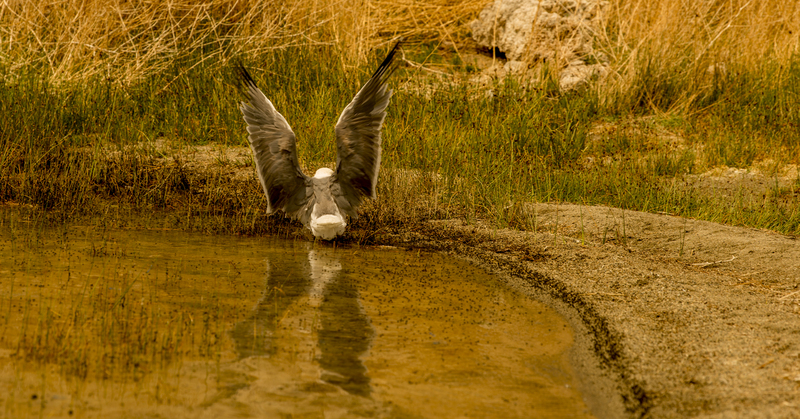 Migratory birds feed on the shrimp and blackflies. 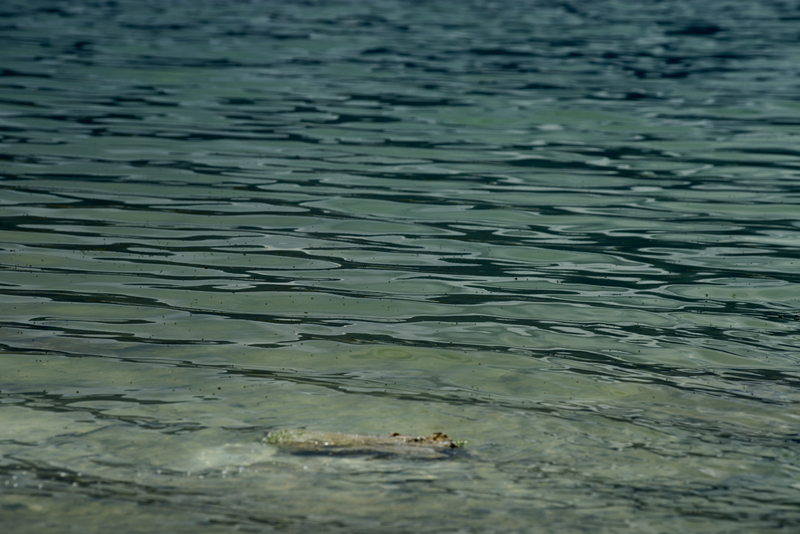 Fresh water springs bubble up through the alkaline waters of the lake.